A distracted driver can be worse than a drunk driver. As more and more car crashes happen on Northern Kentucky roads, we all need to be more aware of the dangers of driving while distracted. Alcohol consumption and medical conditions are not the only things that should keep people from taking the wheel! How Bad is Distracted Driving Really? Texting and driving is more dangerous than drinking and driving. In studies, drivers who are reading email or texting while behind the wheel take longer to stop than drivers who have been drinking. Thus, texting while driving impairs your ability to stop 17.5 times more than drinking and driving. That is an amazing difference. While other studies have shown less deterioration in one’s ability to stop while texting and driving, all studies agree that texting and driving impairs you worse than drinking and driving. How Does This Affect Me Legally? In Kentucky it is illegal to text and drive. It is punishable by a fine, just like speeding. Lawrence & Associates files a great deal of claims related to car accidents, and we can safely say that anyone texting and driving will be found liable for an accident by a jury in a civil trial as well. While jurors don’t have the same sense of outrage over texting and driving as they do over drinking and driving, they also have little patience for anyone that attempts to justify texting and driving or reading email and driving. The general consensus is that, frankly, no one is that important or that pressed for time. Whatever it is, it can wait. If you have been involved in an accident where the other party was drinking and driving, texting and driving, or reading email and driving, please contact us. 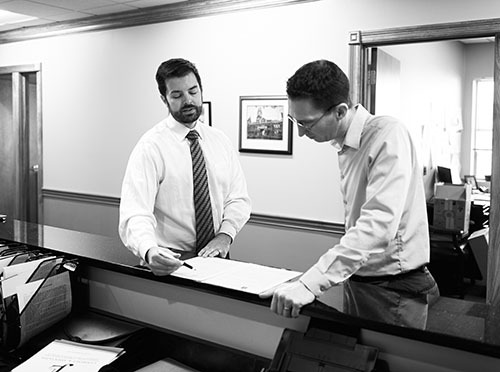 We would be proud to help you receive justice from insurance carriers that try to justify such behavior, or who try to pass the blame onto the victim. We are working hard for the working class, and we want to work for you. Call today!